Margaret was a daughter of Austin and Mary A. Blaylock Coffey. She was born Aug 22, 1847 in Caldwell Co., NC and died there on Dec. 1, 1931. Thomas was born c1834 in Georgia and died Apr. 5, 1906 in North Carolina. Both are buried in the Boone Fork Baptist Church Cemetery in Watauga Co.
- Mary Josephine, born Oct., 18, 1867, died Jan 31, 1944 in Mabscott, Raleigh Co., WV. Mary married Tilmon Monroe Gragg, a son of Edmond and Indiana Gragg Gragg on Mar 3, 1883 [Marriage Book 6, Page 24] in Caldwell Co. Tilmon was born Feb., 1858 in Caldwell Co., and died in Camden Co., NC [North Carolina Death Records, 1968-1996 on Dec. 12, 1928. I know of three children: William Henderson, Rhett and Alverdia. - Robert Arthur, born c1875, married Lurenie Holloway, a daughter of Reid D. and Martha Andrews Holloway, on Jul. 14, 1894 in Watauga. Robert disappeared shortly after marriage but fathered a son with Lurenie. Robert Reaves Wright was born Jun., 18, 1895. Robert married Nettie McAlister on Jun. 17, 1917 in Watauga Co. He died on Jan. 18, 1944. 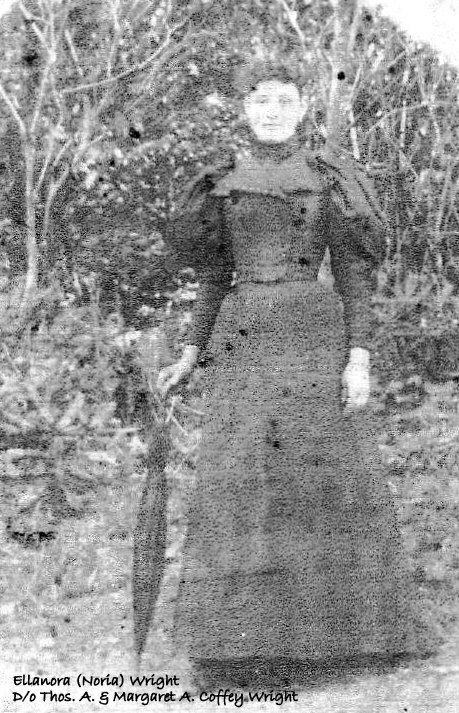 Lurenie later married William Wiley Church c1896. - Sarah Ellanora (Ellie), born Jan. 26, 1877, died Dec. 18, 1942. 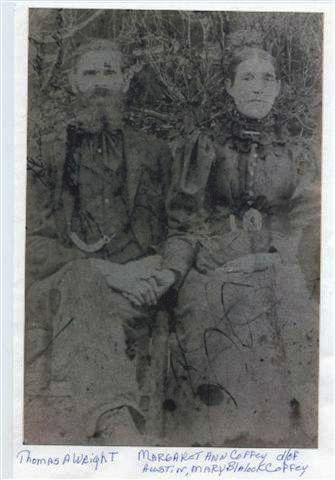 Sarah married Samuel Wiley McCroskey in Nov. 1900 in Knox Co., TN. Sarah had been previously married on Oct. 16, 1896 to Henderson Phillips. Samuel was a son of William and Mira Johnson McCroskey and was born Apr. 10, 1869 in Bluff City, Sullivan Co., TN and died Apr. 14, 1926 in Burke Co., NC. Their children were: Raymond, 1902-1926, Mae, 1904-1983, Lula Nevada, 1907-?, Earl Lemuel, 1909-1967; Lany Esther, 1910-1978, Edward Lawrence, 1915-?, Virgie Edith, 1917-1970, and Roy Lois, 1921-1970. More information is available on the McCroskey-Wright family. - Sarah L., born c1879. No other info. - Thomas Lemuel, born Mar. 22, 1884, died Mar. 23, 1946. He married Sarah Emeline Bragg, daughter of James Jackson and Rhoda Cox Bragg. Sarah was born Mar. 18, 1893 in Summers Co., WVa., and died Sep. 10, 1979 in Caldwell Co., NC. I have found three children for them: Thomas Jackson, born 1915; Rexford Lemuel, born 1922, and Vadis Graham, born 1927. 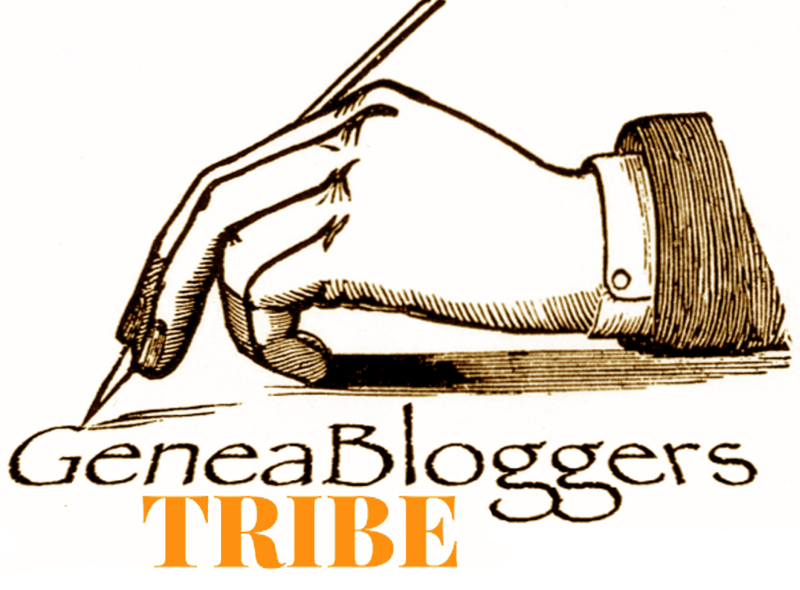 - Annie Lee, born Jul. 27, 1885, died Dec. 11, 1951, married Roby Monroe Coffey on Mar. 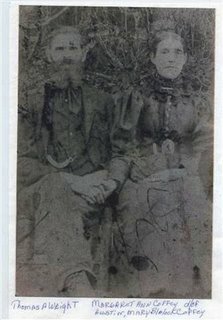 19, 1903 in Watauga Co. Roby was son of George Washington and Matilda Coffey Coffey, and was born Mar. 20, 1881 in Caldwell Co., and died in Lenoir, NC on Oct. 1, 1955. There were at least nine children born to this union and will be a subject of a later blog. - Doctor Hill, born Apr. 1, 1889, died Oct. 4, 1949 in Watauga Co. He married Virgie Nona Gragg, daughter of Leonard L. and Alva Sims Gragg on May 20, 1913 in NC. 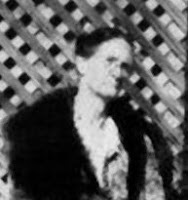 Virgie was born Oct. 18, 1897 in NC and died in Watauga Co. on Nov. 13, 1945. At least four children were born to them: Meda Geneva Virginia, born May 22, 1914; William Paul, born Jun. 19, 1918; Agnes Adele (Addie), born Aug. 15, 1921, died Jan. 25, 1988; and Thomas Hill, born Dec. 20, 1930. "Addie" married James Bynum Coffey on Jul. 5, 1939 in NC. James was a son of James Hardy and Lillian Mae Gray Coffey. James died Apr. 26, 1986 in Watauga Co. Their children were Patricia Joe Ann, born Mar. 21, 1941, died c1996, and James Robert, born Sep. 27, 1942, died Nov. 11, 1999. I am uncertain whether Sarah Ellenora and Sarah L. are the same person. It seems unlikely to me that there would be two, much less three children born to the same parents who gave their children the same first name.